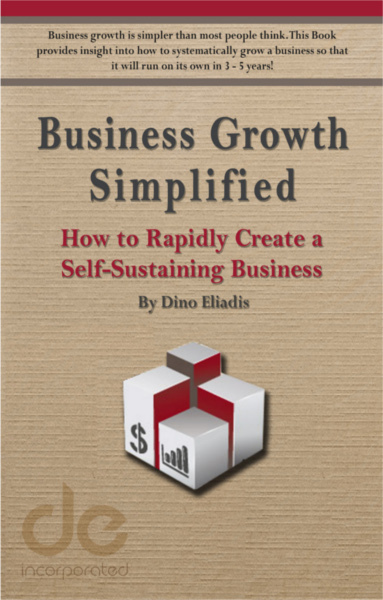 Tampa Bay Entrepreneur Shares Business Growth Secrets In New Book - DE Inc.
Tampa Bay, FL – February 2016 – Local entrepreneur Dino Eliadis shares his insight about business growth in his new book, Business Growth Simplified. Eliadis has drawn from his three decades of leadership experience and his work enhancing client company’s performance and profitability to write this unique and informative book. This book is uniquely written. Instead of the usual business book narrative with step-by-step instructions, Eliadis has taken the information and turned it into a real-world experience using a cast of “characters (business owners), each in a different stage in growing their business. 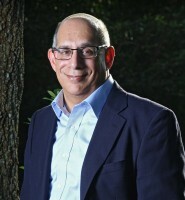 Eliadis says he “planned Business Growth Simplified to be built around a cast of characters – four business owners in three companies – who the reader will follow as they navigate the business growth model in their own business.” The book uses case studies with examples of how each of these characters uses the model for growth. Business Growth Simplified is available in paperback and Kindle versions at Amazon. With 3 decades of leadership experience and MBA credentials, Eliadis has a passion for building and leading high performance teams for organizations both large and small. He uses teams to drive forward transitional projects for companies using his talent for problem solving and management of portfolios of projects toward a strategic goal. Eliadis’ talents best serve organizations looking to develop self-sustaining growth by creating corporate cultures where people are valued and employees are treated with dignity and respect. Environments of this nature allow major initiatives to rapidly move forward by developing highly motivated teams that achieve the organization’s goal while helping the team members achieve their own personal and professional objectives. For more information about Eliadis and Business Growth Simplified, go to www.dinoeliadis.com.